I love "Pay it Forward." It's such a great concept for every part of life. Today I'm paying it forward as part of a contest being held on Shelli Johannes's blog. I'm excited for the opportunity (for both taking part in the contest AND being able to honor someone special), so let's get right to it. Writers tend to be busy people—even busier once they have deadlines to get their manuscript edited for a publisher and sequels to write. Which is why I was so touched by the generosity of Susanne Winnacker. You may know Susanne from the very popular GotYA, or from her own blog and website, or maybe you've seen her around Absolute Write. In any case, if you've come into contact with her, you'll know she's a gem of a person. She's got what it takes as a writer, no question about that. She's represented by Julia Churchill of Greenhouse Literary, and her debut novel THE OTHER LIFE will be published by Usborne UK in Spring 2012 as well as Marshall Cavendish in Fall 2012. Back before she was agented, I read an excerpt of her novel in a contest and was immediately drawn to the story. I can't wait to get the book and read the whole thing! And just as a side note, she and her husband just celebrated their 9th year of marriage. Congratulations! With everything Susanne's got going on, you'd think her plate was too full to take on another project. Yet when I started looking for beta readers for my current manuscript, the wonderful Susanne stepped forward. She's a magnificent beta reader, and with the experience she has as an agented and soon-to-be-published writer I'm very confident taking her advice. I feel very lucky to have her helping me out. Thank you, Susanne, for being so awesome! Yes, my friends, it's Monday again. But turn that frown upside down, because I've got an interviewee that can wake the dead! Or at least he does in some of his books. Let's welcome YA writer Rusty Fischer. Hi, Rusty! Tell us a bit about yourself. I live in Florida, where I’m married to my beautiful wife Martha and fortunate enough to write full-time for a living. I’m also a former teacher who never stopped reading kids’ books! In my day, it was all about the Goosebumps phase and everybody loved R. L. Stine! I left teaching to work full-time for a teaching magazine just as Harry Potter hit, so I missed that phase but was thrilled to see literature invigorating young minds all over again! Since then I’ve watched young adult, or YA, continue to transform and evolve into something truly magical and exciting! I wrote my first book when I was nine-years-old. It was a total Zorro-Man in the Iron Mask mash-up called The Swords of Malakki. I’ve been writing ever since! This was WAY before computers, before I even had a typewriter. I used to buy a spiral bound notebook and some construction paper. I’d design my own cover with the construction paper and glue it to the outside cover of the notebook, then start the book on the first page and just. Keep. Writing. There wasn’t much room for editing or mistakes, so I tried to be pretty careful. Later on my parents got me a Smith-Corona typewriter, so I would design a cover, punch holes in the typed pages and create a book that way. Today I basically do the same thing; I design a cover for each work-in-progress and then write the book, although I’m happy to say I do a lot more self-editing now than I did in the past! Tell us about ZOMBIES DON'T CRY. Besides, duh, Zombies, what’s the story about? 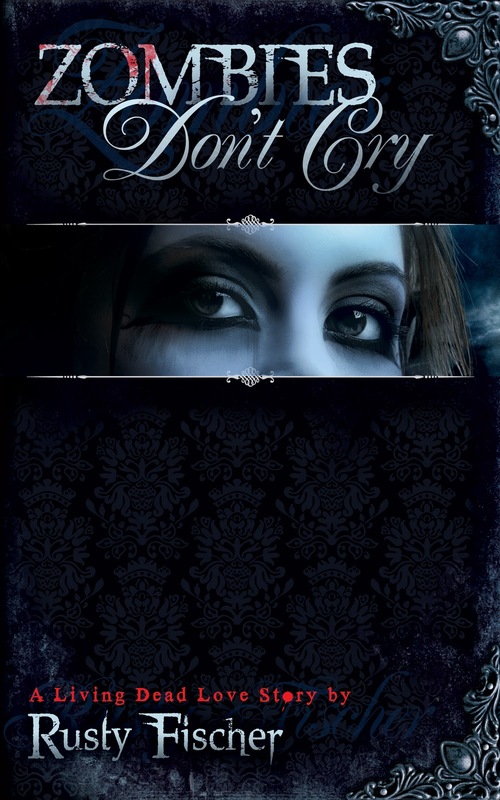 Zombies Don’t Cry is about a girl named Maddy who becomes a zombie; period. Maddy learns that she’s not alone, and that zombies have all these rules about not dating humans – a bummer, since she’s crushing on the kicker for the school football team. She also learns that there are good zombies and bad zombies, and once the bad zombies find out about her, she has to join the good ones to save the kids at her school. I’m a big fan of the YA zombie classics, like Zombie Queen of Newbury High by Amanda Ashby and You Are So Undead to Me by Stacey Jay. I got to thinking, what if zombies weren’t just a plot device or background characters, but the main character? How would that work? How would a zombie wear makeup? What would she dress like? How could she “pass” among the normal kiddos? From there I had to figure out how Maddy could become a zombie, and I thought a lot about electricity and how that might work. 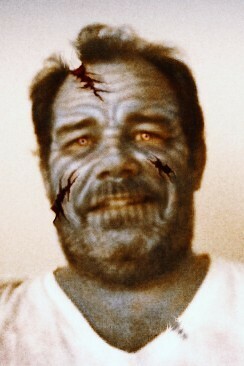 But with the main character a zombie, I had no room for “bad” guys, so I had to create bad zombies and… I was off! Sounds great! What else have you got in the works? LOL, right. What’s the hardest part of writing for you? Not being able to finish a book, like, overnight! (And, trust me, I’ve tried.) Seriously. I’ll get an idea and want to finish it right away. So I have to force myself to juggle my day job, a healthy marriage, my physical health and actual cleaning and grooming with writing, and it’s not always easy. One thing that helps is that I’ve kind of gotten used to the process of editing and how that can make a bad book good, or a good book even better. Be yourself! Seriously, you have to trust yourself enough to really go to town and write what you want – the way you want. One of the things I love about YA is the originality of the genre. There is so MUCH going on, from vampires to zombies to werewolves, to ghouls to faeries to reimagining old fairy tales, to the end of the world to magicians and witches, it’s just really fun to watch new things come out and change the landscape. The way that happens is by you using your voice to create something unique and original to yourself. People read books, especially young people, to go somewhere they’ve never been before. So take them someplace new; someplace only YOU can take them. That’s the best advice I’ve ever gotten, and the best advice I can share. I’m pretty boring and usually focus on “facing forward” and putting all my energy into the keyboard-slash-computer-monitor. There’s nothing fancy on my walls; heck, there’s “nothing” period on my office walls. (I just realized that!) I don’t have a nice desk; it’s basically a fold-up picnic table and a desk chair with the left arm broken, but I don’t like change so it works for me. But… but… I do have to have light jazz Christmas music on real soft in the background, a jar candle burning on the left corner of my desk and a paperback 1,001 baby names book I bought at the dollar store to help me choose character names when I’ve run out of creative juices. That’s about it! I wouldn't call that boring. Unique, maybe, but not boring. If you could have any super power, what would it be? I was going to say ESP, but I’d rather be able to fly!!! Quick writing test! Use the following words in a sentence: flame thrower, bicycle spokes, and petunias. Margaret put down her flame thrower and surveyed the barren landscape, frowning at the wilted petunias poking through the rusty bicycle spokes and lighting another cigarette with the flickering sparks from a crackling loganberry bush. That was awesome! Oh, wow, the visuals! Okay, here’s the part where you thank the people who are supporting you. Let's hear your shout outs. Thanks to my family for hearing about zombies for the last two years, thanks to the good folks at Medallion Press for taking a chance on zombies when everybody else was buying vampire books, and thanks to young people for keeping reading alive when everyone else is going to the movies! I run a blog about reading, writing and publishing YA called Zombies Don’t Blog @ www.zombiesdontblog.blogspot.com, where you can get lots of publishing advice if that’s your thing, or lots of FREE zombie and vampire books, stories and poems to read if you’d rather do that. Either way, all are welcome! Rusty, thank you so much for letting us get to know you. Your book sounds amazing, and I'm sure all the zombie fans out there, as well as YA readers in general, will be on the look out. Today we're talking with a prestigious member of the writing community. I'm sure you'll all be delighted to meet her and learn more about her work. Let's welcome Candice James. Hi, Candice. Tell us a bit about yourself. I am the Poet Laureate for the City of New Westminster BC CANADA and a full member of The League Of Canadian Poets; The British Columbia Writers Federation, and founder and creator of "Poetic Justice" a weekly poetry reading series and "Slam Central" a bi-weekly spoken word performance poetry series. Wow, sounds like you've got your hands full. How long have you been writing? I've started writing at a very young age and have been writing for over 40 years. 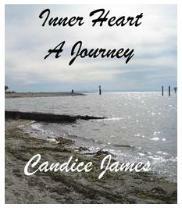 Tell us about your newest book, INNER HEART - A JOURNEY. INNER HEART - A Journey, published by Silver Bow Publishing 2010 is a poetry collection of 100 pages devoted to the eternal timeless theme of love. It touches on both the agony of heartbreak and the ecstasy of soul mates. This book can be purchased online at www.wix.com/silverbowpublishing/silver-bow-publishing. The most difficult part of writing for me is to try to get through a poem without somebody interrupting my flow while I'm writing. Also, writing is more difficult when I write within a structured form instead of free verse. I suppose the poetic form SESTINA is the most difficult structure to adhere to, followed by the sonnet. However, I do enjoy writing these types of poetry, although free verse is my main form of poetic writing. When I'm looking for a challenge, I write a Sonnet, and when I'm looking for a super challenge, I write a Sestina. The great Oscar Wilde has been a huge influence on my writing, as have been T.S. Eliot, W.H. Auden, Leonard Cohen, Rod McKuen, Michael Drayton, Edmund Spenser, Edward Henley, Elizabeth Barrett Browining, and of course the fabulous sonnet spinner William Shakespeare. Favorite poems are, "The Ballad Of Reading Gaol", by Oscar Wilde, "The Hollow Men" by T.S. Eliot and "Funeral Blues" by W.H. Auden. These poets are my influences, but my inspiration is usually a deeply felt emotion for someone or something in my life at the time. People and things come and go in our lives and it's not by accident. I believe it's by divine appointment. I always like to have my cell phone and a can of pop or some kind of drink to whet my whistle so to speak as I sit at my computer and type the mindstream onto the screen. There are so many super powers I would absolutely love to have, but if limited to only one I would like to have the super power of mind control over others and the option to use it if and when I chose to. Wow, what a wonderful world my world would be if I had that super power! Not that it's not wonderful now, but it would just become a little bit more wonderful! Quick writing test! Use the following words in a sentence: flood, fireworks, and pancake batter. I like to flood my mind with emotional fireworks and taste the sweet residue of their phantom pancake batter. Wow, you really are a poet! Awesome. Here's the part where you thank the people who are supporting you. Let's hear your shout outs. There are so many that I'm bound to leave some people out, so I apologize in advance for anyone I should have mentioned here but didn't. I'd like to thank Ken Ader, Don Benson, Laura Schultz, Alexandra Zlotnik, Franci Louann, Ariadne Sawyer, Ruth Kozak, Nancy Denofio, Michael Sullivan, Hector and Virginia Bremner, and I could go on forever here, but will stop the list here and extend my heartfelt thanks to everyone else who has been instrumental in helping me reach the point I'm at today. I have 3 websites and 3 facebook sites. 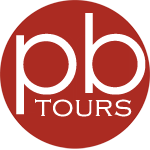 I hope you'll click on them and enjoy the poetry, music, and videos! Candice, thank you so much for letting us get to know you. I'm sure all our poetry-lovers will be looking for your book now. Guess what! I've got our very first interview for the new year wrapped up in a neat little package for you all. And what an awesome writer I get to present to you! Please welcome author Roz Morris. Hi Roz! Tell us a bit about yourself. I've ghostwritten eight bestselling novels which I can't name because they're a trade secret. I freelance edit, mentoring other writers to help them shape up their novels to a state where they can be presented to the market, and I'm coming out from under the ghostly sheet with novels of my own. I'm represented by Jane Conway-Gordon in London. The rest of the time I work as a freelance magazine editor - and occasionally as a movie extra! Wow, I'm amazed by you already. How long have you been writing? I've been writing for about 20 years in a serious way, but there's never been a time when I haven't dabbled with stories. I also went through a period of dabbling with music. So I guess I'm manically creative. Sounds like it. Many people, including myself, aren't exactly sure what goes into ghost writing. Can you tell us a little bit about it? In essence, it's writing a book pretending to be somebody else. Mostly you write for celebrities, or people who have hit the headlines in some way. Perhaps they've already published their memoirs (possibly also ghosted) and have branched out into novels – but need help with the craft of fiction writing. And they're not always non-writers. Sometimes the megabrand established novelists use ghosts, outsourcing some of their early draft work to keep up with demand. And if a mega-selling author dies, a publisher might hire a ghostwriter to keep their brand alive beyond the grave. Ghosting is done by writers across the entire spectrum of success, including those with strong-selling titles who are established under their own name. Often they do it between novels of their own – on what in Hollywood is known as the ‘one for them, one for me’ principle. If you can do it, it's a good way to make a living and a refreshing change from working on your own, because the ghosting process is a collaboration with your 'author', and usually their editor as well. It's also a great way to recharge creatively - the novels I've ghosted have stretched me into subjects and genres I may not have ventured into otherwise, and my own work has broadened because of it. Most writers who ghost do it after some success under their own name. I got lucky with the novels I ghosted and now I'm breaking out as me! How exciting. Can you tell us move about the books under your name? I have a novel out on submission, called MY MEMORIES OF A FUTURE LIFE. The MC is a pianist who is struck down by a mysterious injury that stops her playing, and steals away her creative and emotional life. It's an injury to her soul as well as to her body, and the story follows her as she gets drawn into a strange and nightmarish experience in search of a cure. The genre is modern fiction, quite literary but with a thumping plot. I don't do wispy books that languish around aimlessly and eventually come to terms with everything. It opens with a scene of yoga rage. 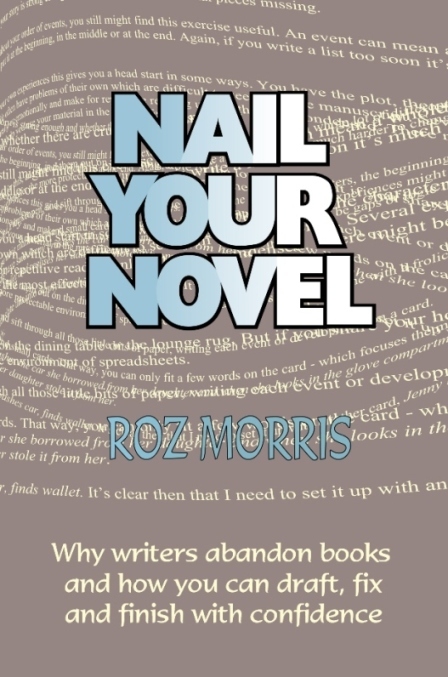 I've also written a non-fiction book, NAIL YOUR NOVEL - Why Writers Abandon Books and How You Can Draft, Fix and Finish with Confidence http://www.lulu.com/product/paperback/nail-your-novel/5301103 . I wrote it because I realised most of the writers who come to me for editing help struggle to deal with the huge job of writing and revising a novel. Because of this, they also can't assess their novel's structure - which is essential to whether it works or not - and they don't dare to make major changes because it all looks too complicated. I disembowel my drafts quite blithely because I've developed ways to take control of my manuscripts, and so I thought the most helpful thing I could do for people was to write a book about how I do that. That's awesome. What are you working on now? My second novel as me. It's called LIFE FORM 3. It's too soon to talk about it yet, though I'm in love with it and very excited. Ooh, intriguing title. So, what’s the hardest part of writing for you? Finding the one best path through the story. Which is why I disembowel a lot. Listen to your writer's instinct. If something isn't working, don't ignore that voice. Think how you could do that character or plot thread differently, no matter how inconvenient. There is always a solution, although finding it may take several days. Also, experiment. If a scene or a way of introducing an idea doesn't work, that has still told you something. At the moment I have two places for writing. One is my study, which is my internet computer. There I have my desk I salvaged from an old dining room table and painted a pale grey lilac I mixed myself. I love pretty containers. Batteries and USB drives are in a Michael Kors sunglasses case, which pleases me whenever I pick it up because it feels heavy and strong. My pens are in a box from a bottle of Laurent Perrier rose champagne that Dave and I shared one Christmas. To my left is a wooden box with slots for letters - a present from a friend who died one Christmas Eve in a road accident. I'm surrounded by shelves of books and other nonsensical necessities, including a shoe from my horse. Next door is Dave's study, and the sound of his one-finger typing is an essential creative backdrop. I love my study, but sometimes I need to uproot myself from the lure of Twitter, blogs and Facebook. I have an Asus eee PC, about the size of a piece of folded A4 paper, which I originally bought as a writing machine to slip into my handbag. When I need to be alone with my WIP, I take it to the dining room, where there are no distractions, and submerge. The ability to breathe under water. Like being able to fly, but less far to fall if it goes wrong. Quick writing test! 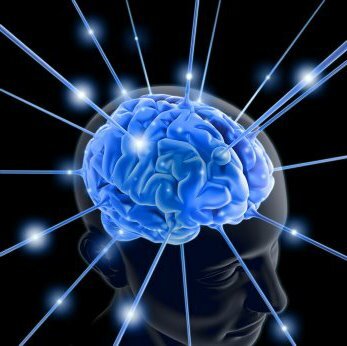 Use the following words in a sentence: serendipity, coagulate, and tic-tac-toe. But you did brilliantly! Here’s the part where you thank the people who are supporting you. Ooh, how long am I allowed? 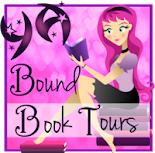 Cassidy Webb, KM Weiland, Victoria Mixon, Elizabeth S Craig, Darcia Helle's Bestseller Bound, the Unruly Guides, Laura Schultz, Italia Trent, Nancy Denofio, Meg Collins, Daisy Hickman, Sena Quaren, Kim Koning, John Poindexter and Kevin McGill for being generous spirits who always give great vibes. And thank you, Dorothy, for hosting me here. You're very welcome. :) And finally, where can people find you online? Roz, thank you so much for talking with us today. I've really learned a lot, and I look forward to seeing more of your work in the future. I don't know about you, but I like clean slates. I like cracking open a brand new notebook and the look of an unscribbled-on calendar. I love the feeling of starting new, starting fresh, and all the possibilities that lie ahead. And that's what I love about a new year. 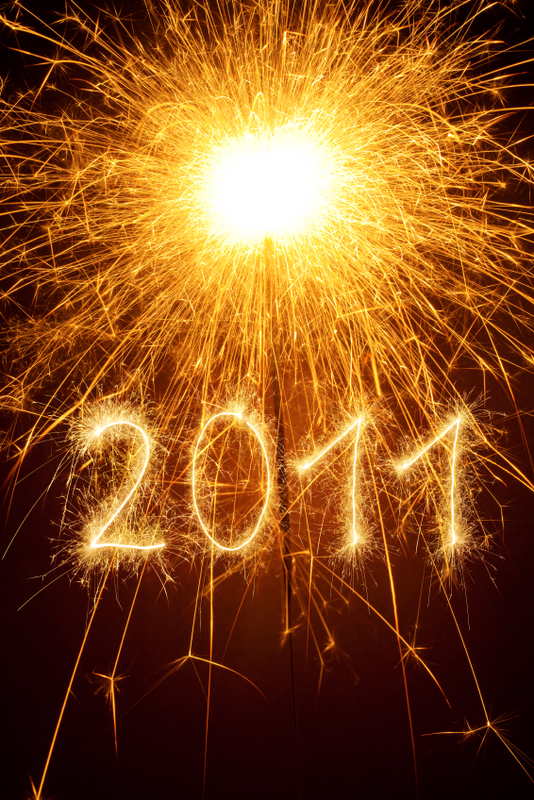 I hope we can all make the most of 2011. Now that the holidays are over, I'll be getting back to my regular blogging schedule. Please excuse me if I drag a little during this month, but I'm sure I'll be off and running again at full speed by February (or at least, I hope so).